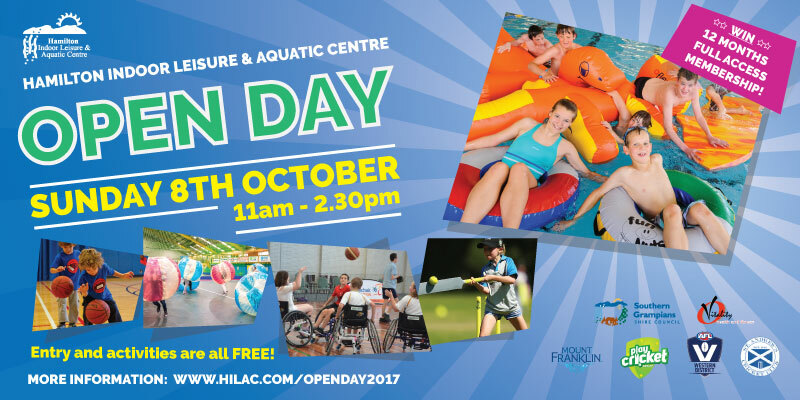 Come and join the Hamilton Indoor Leisure and Aquatic Centre Open Day! There will be plenty of great activities for a day of fitness and fun for the family. Discount family memberships available on the day with no joining fee! All entry and activities are FREE!! Thank-you to: Southern Grampians Shire Council, Vitality Health and Fitness, Western District AFL, Cricket Victoria St Andrews Cricket Club and Mt Franklin water.